It’s a stair-practice evening again, and I took the Metro downtown to join in the ‘fun’. As usual, George was there, so we took a few minutes to talk about our goals for the evening. He was aiming to do a first climb for speed, and to try to get under 9 minutes. So that was my goal, as well. My best time for this building was 8:32 in practice two years ago. That works out to just about 10 seconds per floor, so that was my target pace for the evening. George started out ahead of me by about 30 or 40 seconds. That was just as well, since he was using a metronome, and didn’t want to have the distraction of the sound. My plan was just to do 6 floors each minute for as long as I could. 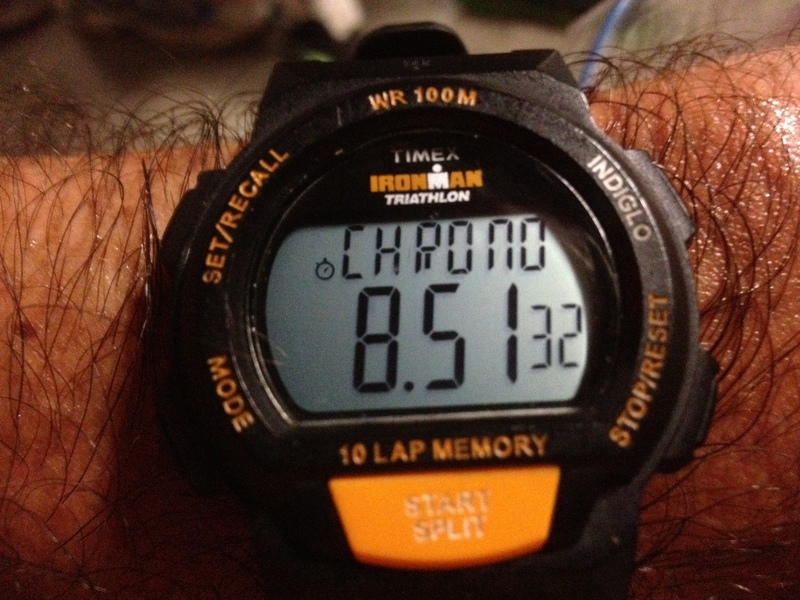 But as it turned out, I was losing about two steps each minute, so by the 37th floor I was about 1/2 floor off my pace. 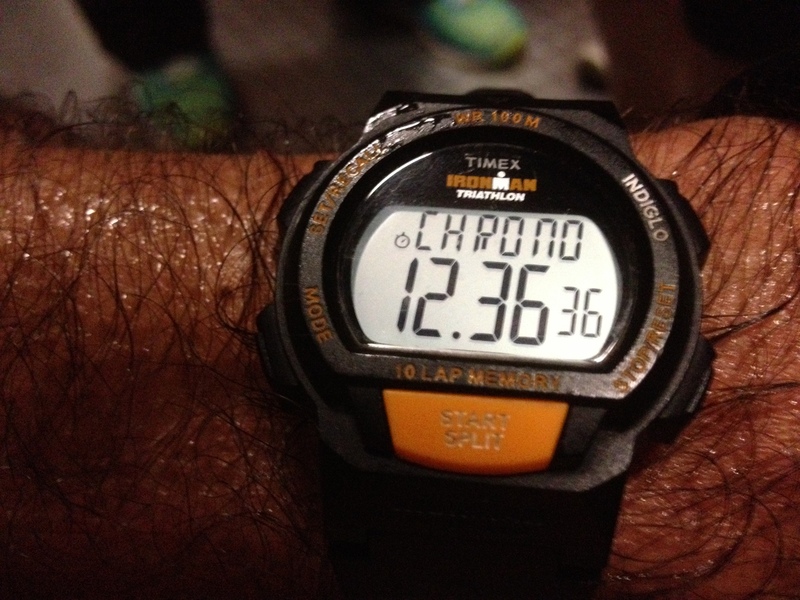 But that still meant I was headed for a sub-9 time. And when I got to about 40, I could hear George’s metronome just a little bit above me. So that gave me the push to keep going and even to speed up after I passed the ‘petting zoo’ on 49. 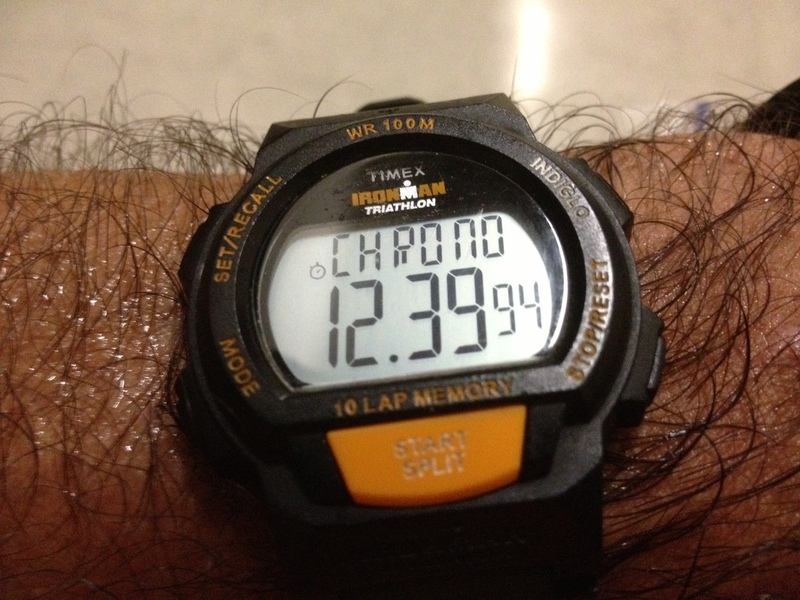 I stumbled up onto the 51st floor landing at 8:51. That’s my fastest time so far in this set of practices, but it’s still a lot slower than my race times in this building, as well as my past practice times. After doing the first climb for speed, I did it four more times, just to see if I could maintain a pace after the first climb. The second and third times up I was only able to maintain about 4 floors per minute, but at least I was still upright and moving. The fourth time up, I just walked up slowly. Didn’t bother timing it. At that point, it was remarkable enough that I was still able to go up at all. This evening brings my total up to 53 climbs up the Wilshire-Figueroa building since this round of practice started in July. That’s at bit over 10km, or about 6 1/2 miles vertical. Fun times.